Tim Prater and Gary Fuller have welcomed the rejection of plans to build 10 three storey town houses on Romney Avenue in Sandgate Valley. "I'm not anti-development, but the proposals were unacceptable. The steep bank that is part of the area needs protecting as a green area and wildlife habitat. The development might make it unstable and then need to be completely stripped back. That can't be right. 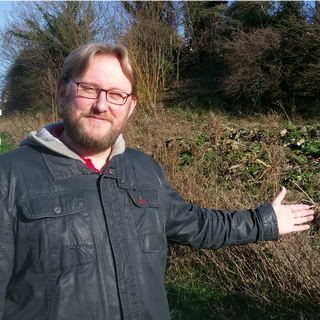 "Three storey houses are out of keeping with their neighbours, and there is no discussion of protecting local wildlife, including badgers which have been seen locally."